A Dress Perfect for Play + a GIVEAWAY! The weather has finally been warming up here in Utah this last week, and I got a chance to get out and play in the sun a little! I recently picked up the perfect little play dress to take me from winter to spring! The Ms Moon Maxi Dress in Peach from Shabby Apple is not only cozy and warm, but also is super long (even long enough for my 5’10 frame!) and has nice warm long sleeves too, that easily roll up for warmer weather. Although the dress is very long, if you’re on the more petite side, you can just toss in the washer and dryer and the length will shrink to fit! 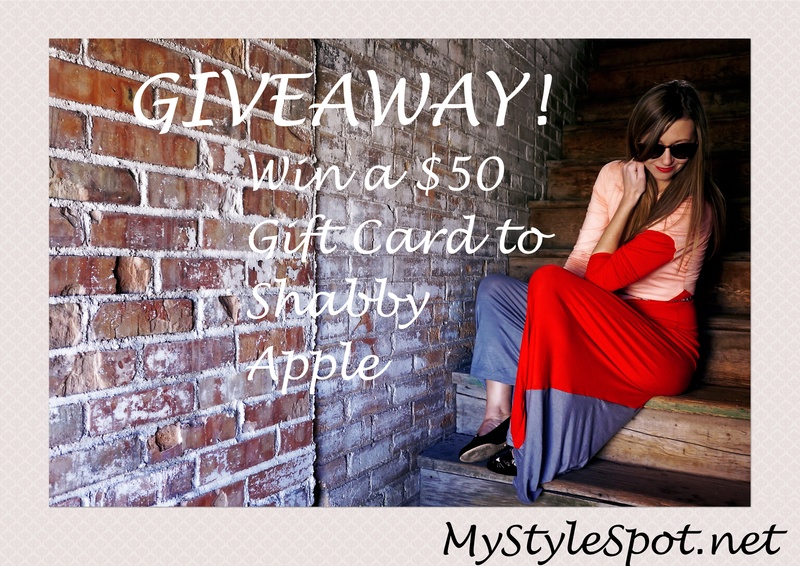 ENTER TO WIN a $50 Gift Card to spend at Shabby Apple at the bottom of this post! The thing about this dress that I love more than most, is the extreme lines and colorblocking. This is no ordinary maxi dress. It is bold, and eye-catching and yet totally playful and fun at the same time. I picked this dress up in Peach, but it is also available in Blue, Pink, and Teal. If you’ve worn a maxi dress before, you know they are probably the coziest, most comfortable things on the planet! I live in mine all summer long, so I was so thrilled to find this long sleeved maxi, that was made warm enough to wear in the cooler months too! I’ve only had this dress for about a week now, but I find myself completely living in it! I never want to take it off! The fabric is so completely soft and body hugging too! Also, prom season is almost here again! Shopping on a budget this year? Find a fantastic variety of fabulous cheap prom dresses here! Right now, one of you lovelies is going to get the chance to WIN a $50 Gift Card to spend at Shabby Apple! ENTER TO WIN $50 to Spend at Shabby Apple in the rafflecopter form below! *This is a sponsored post by Shabby Apple. However, all thoughts and opinions expressed in this post are solely my own. I only share reviews with my readers, I feel will be beneficial or informative in some way. I follow you on Instagram as Angelasnoozy, which is different than my username on the giveaway form, but there is no box on the giveaway form to leave my username for Instagram. I would love to get the Alexia Fit and Flare Dress Blue! Love it! I would chose the Novia Maxi Dress in Navy. It’s so pretty and looks super comfy too. I would put the money towards the Bielby Sweater Pink. I like so many things, but #1 is the Elisa Fit and Flare Dress. I’d get the Wild Tulip Sheath Dress Magenta. I love the Santanna Maxi Dress! Its so cute! I agree with a few others – I love the Sofia Fit and Flare Dress! I love the lavender wrap top! I think the Garden Riad Top is lovely!